Stewart Tubular Products has designed and equipped our machine shop to provide premium threading services, manufacture tubular accessories, and provide complete “machine per print” custom manufacturing. Our well-equipped machine shop features 25 CNC Lathes, including 9 new machines that have been installed since March of 2014. These CNC lathes feature spindle sizes ranging from 4.5” to 22” to handle the full range of product requirements. There are two OCTG threading lines, with automated handling tables to handle up to range 3 casing or tubing. 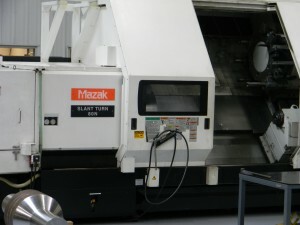 The shop includes 4 engine lathes for rough machining and turning operations. 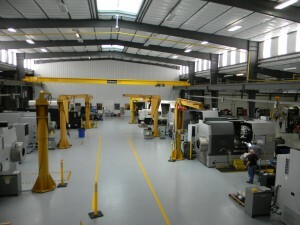 We have 3 milling machines, including a Haas CNC Vertical Machining Center. Top quality equipment is only part of the story. We have made significant ongoing investments to find and train the best people. Our inspectors and machinists are highly skilled professionals with experience and training that is unparalleled in the industry. Our quality program features a high ratio of inspectors to machinists; we have one inspector for every two machinists to insure that we are meeting the specifications and requirements of our customers.